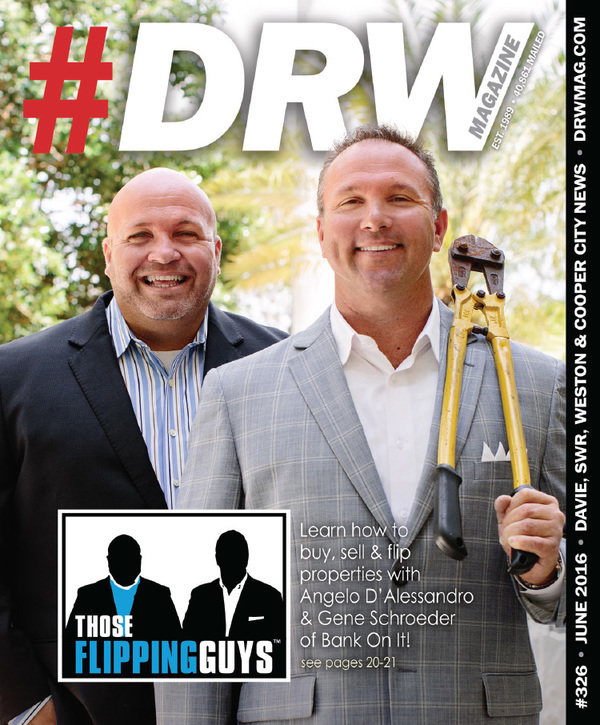 The brand new June 2016 issue of DRW will soon be finding its way to more than 40,500 mailboxes all around Davie, Weston, Southwest Ranches, and Cooper City. You can get a sneak peak right now by clicking either here or on the cover above. Enjoy! DRW honors those brave men and women who have paid the ultimate price in defending our country. Let’s not lose more lives – please stay safe and make responsible decisions this holiday. We mail more than 40,500 printed issues via USPS to addresses in Weston, Davie, SW Ranches and Cooper City. About 1,000 additional printed copies are delivered by hand to key businesses all around the area; the entire publication is available online; and each new issue can be read from almost any mobile device. With advertising costs as low as 1/2 penny per address, DRW offers the best combination of price, service and distribution in the area. Contact us at 954.384.9666 or info@drwmag.com. And learn much more atwww.drwmag.com.